We have been home owners for a week now. One. Whole. Week. And what a week it has been. I have stupidly given us 4 weeks to turn this house around and move in the weekend before Archie’s 2nd Birthday. So over the next 4 weeks I will document and update you weekly on the progress of our house. 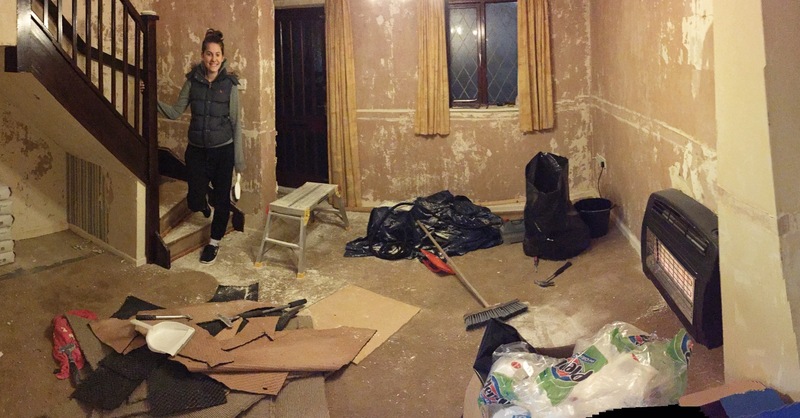 This week has been spent cleaning everything, stripping wallpaper, and ripping up carpets. Everything that we didn’t want to keep has been torn out and taken to the dump and everything we have decided to keep for now has been bleached over and over again. 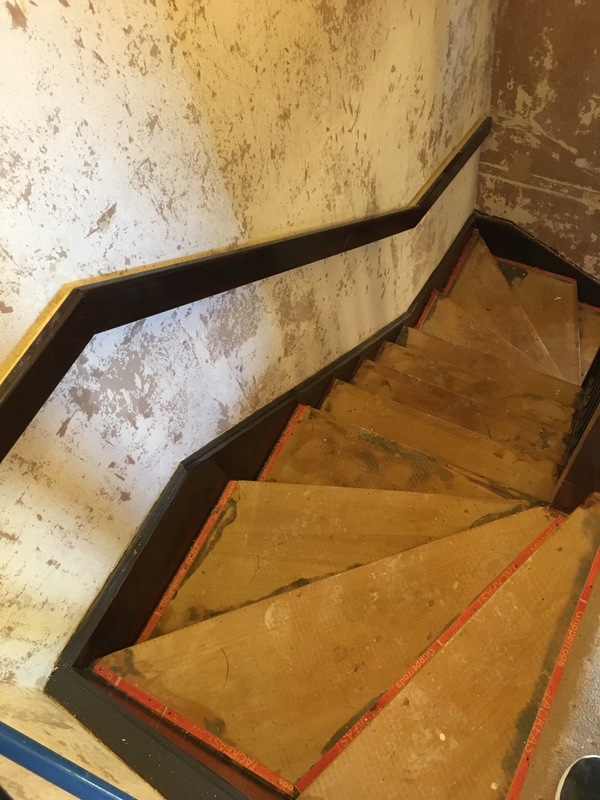 Unfortunately the owner before us smoked heavily in the property and even though the smell has now gone, everything was badly stained yellow / brown so literally every wall, door, ceiling ect had to be bleached before we can paint it. 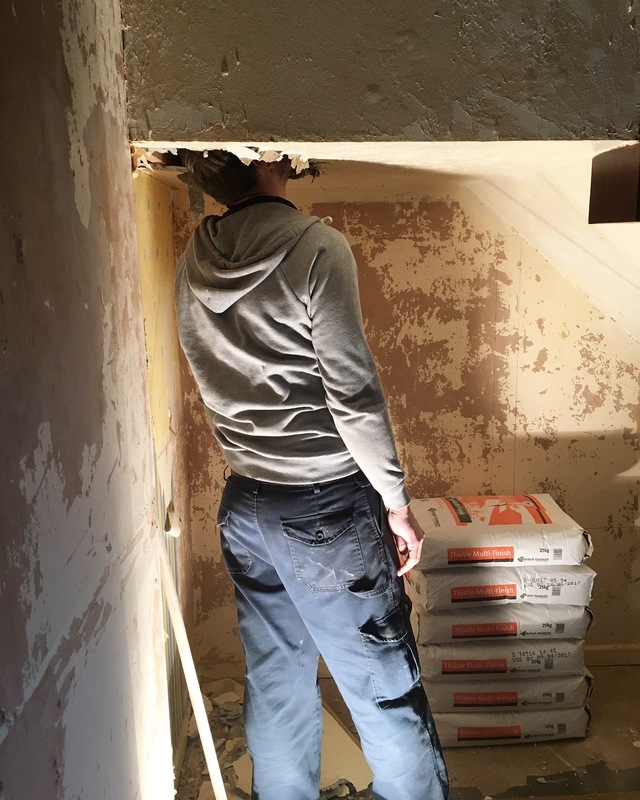 This week we have focused on making the walls and ceilings as smooth as possible in order for the plasterer to get them done at the weekend. 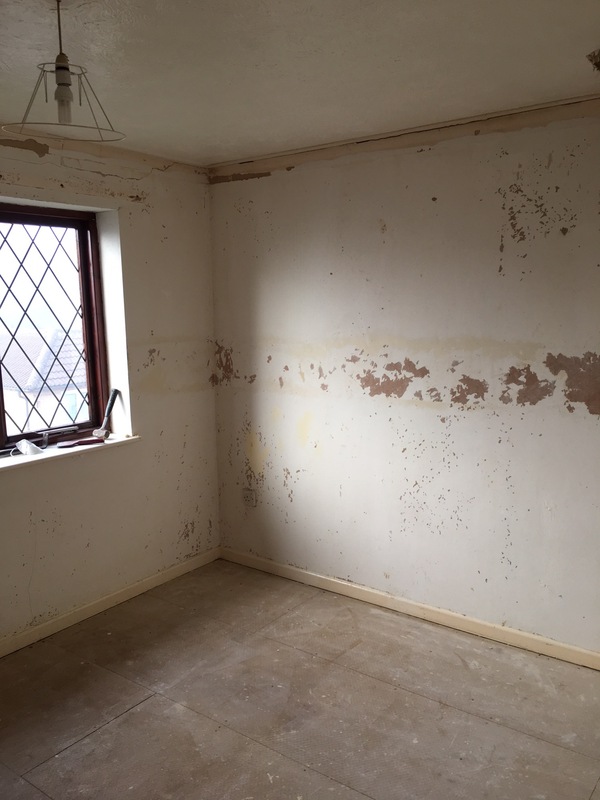 We have scraped off all the wall paper and lining paper, and chipped off most of the artex ceilings off so the plaster is smooth. I have bleached the kitchen over and over again to try and make the cupboards look white apposed to yellow and carpets through out the house have been ripped up. Unfortunately whilst doing all this we have discovered a few problems with the house that need fixing before we can move in. One being that there is a leak in the roof resulting in Archie’s bedroom ceiling being damaged and the other being a leaky toilet. The toilets isn’t that big of a deal and my dad thinks it can be fixed relatively easy. We were hoping to tear out the bathroom and re do it at a later date anyway so that isn’t a problem. The roof however is a different story. We have got to get the lining of our roof fixed as there is a hole in it so every time it rains it pours through the hole, into the loft and through Archie’s ceiling. The corner of his ceiling had caved where it had rotted away. After this the ceiling will need to be boarded and re plastered before we can paint and even think about moving in. Callum steaming the ceiling to scrape the artex off. 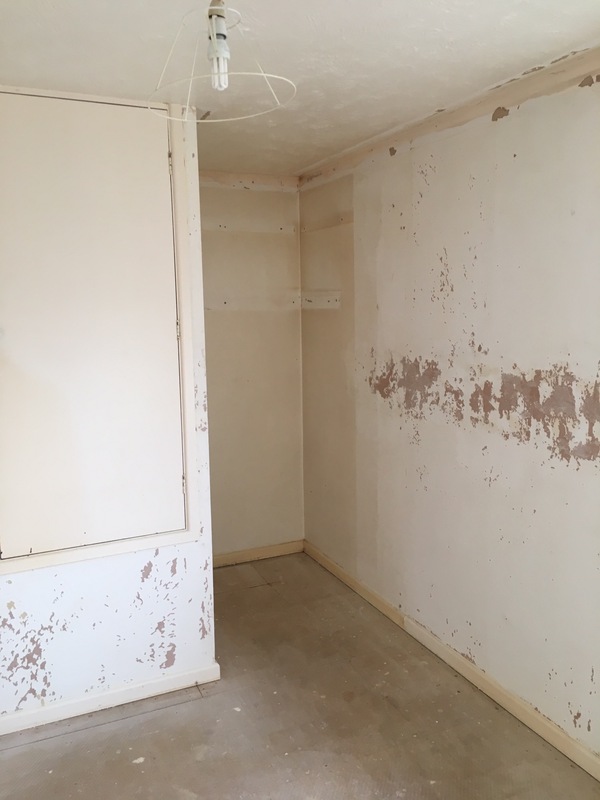 There was a wardrobe built into this area in Archie’s room which we have removed so he can have a play kitchen in the corner. To give you an idea of what I’m dealing with. 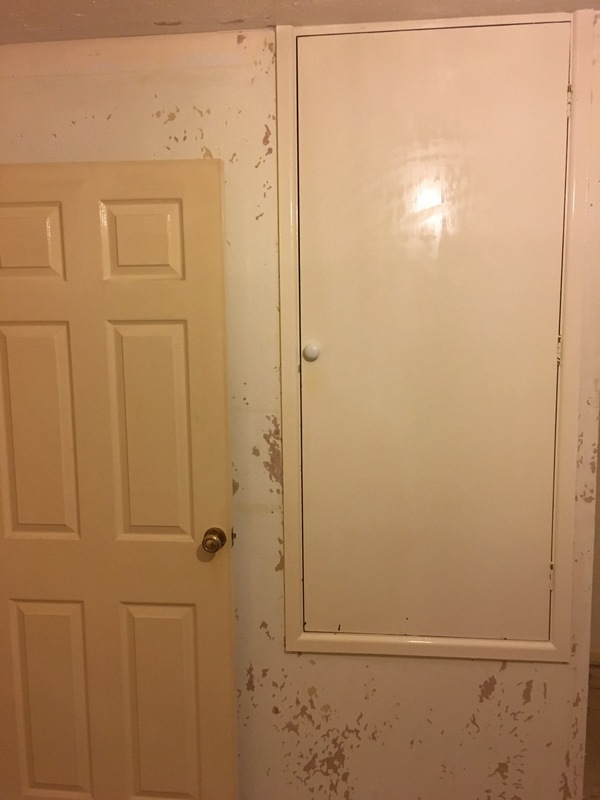 Door on the left no been bleached. Door on the right bleached. That’s about where we are at at the moment. The plastering will get done at the weekend. 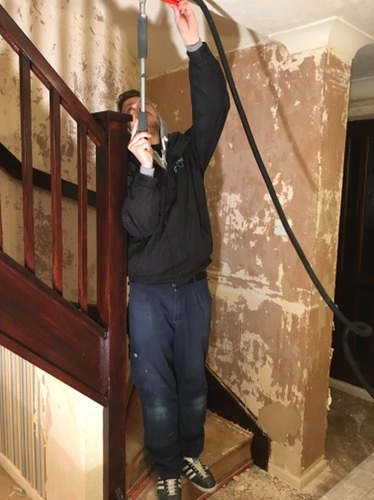 The carpets are out, wall paper off and we’re finally at the stage where we can think about putting everything back together rather than tearing it apart. I can’t wait to see how much the house changes by next week. < Archie: 23 Months Old.